Growing risk tolerance for biotechs boosts sector valuations. The cold winds of February cut into the market as stocks found themselves going in an unaccustomed direction. Sliding like a toboggan on a ski slope, stocks last week experienced the sharpest correction in over 50 years, reaching the -10% mark within a week. This marked the decline as a Correction, which many readers are aware is a technical term to indicate a 10% or more pullback in the stock market, as represented by major broad indexes like Nasdaq (QQQ), S&P 500 (SPY), and Russell 2000 (IWM), and even the narrower but widely followed Dow Jones Industrials (DIA). Any pullback that crosses the 20% threshold is adorned with its own animal kingdom moniker of a Bear market. Biotech stocks went along for the precipitous ride down. The declines were much higher than broader indexes, due to the obvious higher beta and more volatile nature of the sector. However, small and midcap biotech stocks resisted the fall and found support much earlier than the larger biotech companies. The Nasdaq Biotechnology Index (IBB), a proxy for large biotechs, sliced through the important 200-day moving average line before finding support at that key level. At the same time, the S&P Biotechnology Select Index (XBI), more weighted towards midcap and smallcap biotech companies, found support much higher at the 50-day moving average line. The key reason for the sharp decline in the market last week was the fear of inflation being stoked due to a faster-running economy, which can raise the pace of interest rate hikes by the Federal Reserve beyond the 3 currently envisioned for 2018. This is a legitimate argument and incipient inflationary pressures are beginning to emerge, as evidenced by wage growth in the January employment report, resulting in sharply climbing yields on the 10-year bond. In the Market Outlook article a few weeks ago, which discussed the various factors putting pressure on yields, we had mentioned Interest Rates as one of the three key stock market supports with the highest chance of springing a negative surprise. But that was more of a second-half concern. It must be noted, rising interest rates are a normal phenomenon in an economic expansion and by themselves are hardly a death knell for stocks. As economic laws reassert themselves, rising rates are not something to fear. History shows valuation expansion during an economic expansion even with a backdrop of rising rates. What nudges the economy into a retreat and eventual contraction is the pace of interest rate hikes which can result in overtightening and an economic-choke. There is no doubt that inflationary pressures will now make the Federal Reserve's job more challenging in 2018 compared to last year. The return to a normal economic relationship, where an expansion gives rise to rising rates, should mean that from a stock market standpoint we will now have rises-and-pullbacks of a typical cycle, instead of just an uninterrupted rally witnessed in 2017. But the uptrend remains firm. Stocks wilted last week for sure, but will not wither. Rising rates do change the discount rate used in earnings models. So rapidly rising rates will lower price targets faster for the same projected earnings. This adds volatility to the stocks but does not change the upward direction in an economic expansion. It must be noted that the Federal Reserve has shown patience and farsightedness in administering monetary policy for the last many years, and we believe this still remains the soundest argument for a prolonged expansion even under the central bank's new leadership. It is our belief that biotechnology is in a special zone right now and is experiencing a growing risk tolerance due to industry changes that are underpinning investor confidence in the long-term prospects of the sector, as discussed in Biotech Bonanza 2018 article. Since mid-2017, when Scott Gottlieb became Commissioner of FDA and the administration's strategy to controlling drug costs placed the FDA at the center, the seeds of industry transformation were planted. The faster drug approvals is a key element of the FDA's strategy to control new drug costs. We had referred to this as a paradigm change for the biotech industry with great impact on valuations. The impact is not just going to be measured in quarters but in years. In addition, the emerging areas of fusion of technology and science have rapidly advanced the field of new drugs, capturing the imagination of the population and investors across the spectrum. Gene editing and CAR-T therapies have opened new assault fronts on debilitating and fatal diseases. A significant portion of this breakthrough work is being done in pure-play, midcap and smallcap biotech companies. As the frontiers of science advance into new areas, early-stage companies are finding it easier to fund promising ideas. Venture Capital funding of biotech companies soared in 2017. In the public markets, biotech IPOs are at a level not seen since 2014. Last month, biotech stocks accounted for a bulk of the IPOs, over 40%, on major US exchanges, although it is not a sustainable pace. And this does not appear to have all the typical signs of froth yet. The advancement of scientific frontiers has opened up new areas of exploration and opportunity to create potential blockbuster cures. To that extent, it has become relatively easy for startup biotechs to raise money. Granted, the easy funding is a combination of not only the opportunity but also a globe awash in capital which is looking for returns. This has a real risk of creating sloppy resource allocation or capital inefficiencies, not dissimilar to the times in the late nineties when any idea around the Internet was funded and thrown into the public markets. However, the pharmaceutical companies are in a sort of pincer, where they need to make aggressive moves to create new product lines to prepare for the day when their blockbuster franchises begin to erode. For some pharma, such a day is approaching fast if not already here. The urgency is being reflected in the valuations that public market companies are willing to pay for public and private entities. Last week, Roche paid $2.1 billion to acquire Alphabet (GOOGL) funded, privately-held Flatiron Health, founded in 2012, for $2.1 billion. It is our opinion, that such deal valuations and activity will continue to rise this year and we have not yet reached a point suggestive of a bubble and a market top. There is the prospect of serious consolidation activity as the midcap and smallcap biotech stocks represent a highly attractive pool of companies for the larger cap biotech and pharmaceutical companies to fish-in. Deal activity is becoming more aggressive, as highlighted in the article Gates Begin To Open. Furthermore, another sign that valuations remain tethered is the performance of biotech stock indexes which still continue to trade around the highs recorded back in 2015. This is at a time when the broader indexes have already achieved new all-time highs in 2016 and have continued to climb higher ever since. The Dow Jones has recorded near 100 new highs since mid-2016. At the same time, the Nasdaq Biotechnology Index has yet to record a new all-time high since 2015. 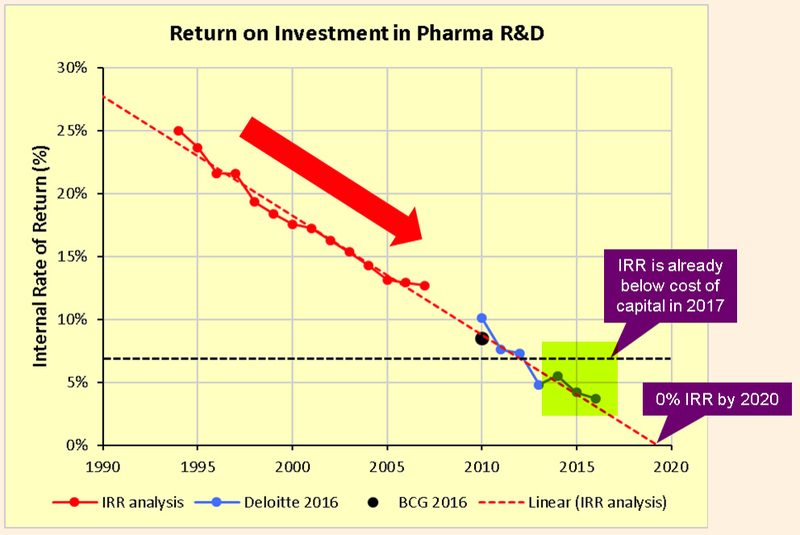 Pharmaceutical companies are struggling with a drug development model where the Internal Rate of Return (IRR) on the significant R&D expenditures is steadily declining. Already believed to be in the low single digits, the IRR runs the risk of heading towards zero and perhaps worse by 2020, a couple of years from now. These were the insights from a recent analysis by industry writer Kelvin Stott as well as prior analyses by consulting firms Deloitte and the Boston Consulting Group. There are many reasons for this decline in IRR including rising clinical costs, regulatory environment, pressure from insurers, and generic competition. But one of the key reasons is the scarcity of opportunities to create blockbuster drugs, and as Stott explained, the law of diminishing returns which makes it harder for the industry to create the next blockbuster that can surpass the previous one. Pharmas are being forced to invest in greater innovation to reverse the decline in IRR. 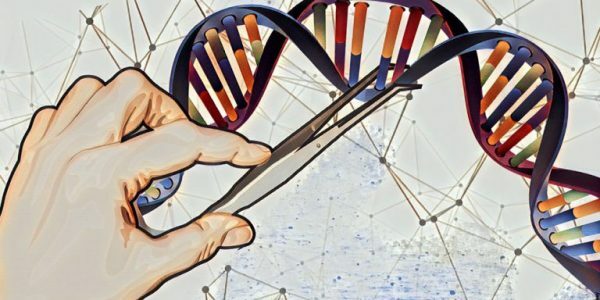 The new science around immunotherapies, personalized medicine, gene editing, regenerative medicine, etc., create opportunities for future blockbusters. This is another argument why deal activity for midcap and smallcap companies will get stronger as pharmaceutical companies have to inevitably enhance their product portfolios in search for new blockbusters. 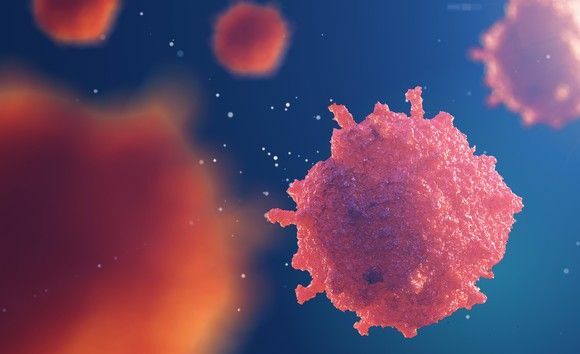 The Gilead (GILD) acquisition of Kite Pharmaceuticals last year and Celgene's (CELG) acquisition of Juno (JUNO) last month are examples of transactions targeting the field of emerging personalized medicines based on CAR-T therapies. In addition, Sanofi (SNY) acquired Bioverativ (BIVV) in a nearly $12 billion cash transaction to enhance its rare disease focus, another lucrative niche area. As we mentioned in our earlier report, January already approached 50% of biotech deal transaction volume in 2017. Many large companies including Pfizer (PFE), Merck (MRK), Johnson & Johnson (JNJ), Amgen (AMGN), Sanofi (SNY), Novartis (NVS), Novo Nordisk (NVO), Gilead, Celgene, and Biogen (BIIB), to name a few, have the resources, the business imperative, and growing urgency to engage in business development. The stock market adjusted swiftly to rising yields with steep declines. Such sharp declines are typically accompanied with similarly sharp V-and-W-shaped recoveries, as consolidation occurs. This is because the economy remains strong, and offers an earnings floor to stock valuations, thus arresting deeper declines into high-teens and 20% bear market territory. As the market resets to the new reality of rallies and pullbacks, while maintaining a continued uptrend, it means additional volatility for the market and for Biotechs as well. Exposure to a basket of biotech stocks must be seriously considered and volatility managed through adequate diversification. Higher volatility by itself should not be a reason to miss out on the potential of Biotechs which are facing a set of favorable circumstances that have not been seen for many years. The sharp rise in bond yields in the closing days of January was disconcerting enough to induce us to reduce the portfolio exposure to 75% for the Prudent Biotech Portfolio and 70% for the Graycell Small Cap portfolio at the end of January. As of the beginning of February, the Prudent Biotech Portfolio was up +26% for the year compared to the benchmark +7% return for the Nasdaq Biotechnology Index. We intend to recalibrate our portfolio exposure as the consolidation process works its way through and opportunities present themselves. There are a number of attractive biotech stocks and a portfolio approach remains best. Some promising names, many of which have been mentioned in the past, include Vertex Pharmaceuticals (VRTX), Nektar Therapeutics (NKTR), Sage Therapeutics (SAGE), MyoKardia (MYOK), Zogenix (ZGNX), Spectrum Pharmaceuticals (SPPI), AnaptysBio (ANAB), Sangamo Therapeutics (SGMO), Loxo Oncology (LOXO), Crispr Therapeutics (CRSP), Esperion Therapeutics (ESPR), Global Blood Therapeutic (GBT), Sorrento Therapeutics (SRNE), Arena Pharmaceuticals (ARNA), Beigene (BGNE), BlueBird (BLUE), Mirati Therapeutics (MRTX), Array Biopharma (ARRY), Agios Pharmaceuticals (AGIO), and GlycoMimetics (GLYC), amongst others.